Access UAD Powered Plug-ins with Quad Processing Power — Now on Intel-Based iMacs®, MacBook Pros® and Mac minis. Includes Analog Classics Software Bundle. The powerful UAD-2 Satellite QUAD puts the world’s finest analog emulation plug-ins within easy reach of Firewire 800 and 400-equipped Macs — including Intel-based iMacs, MacBook Pros and Mac minis. 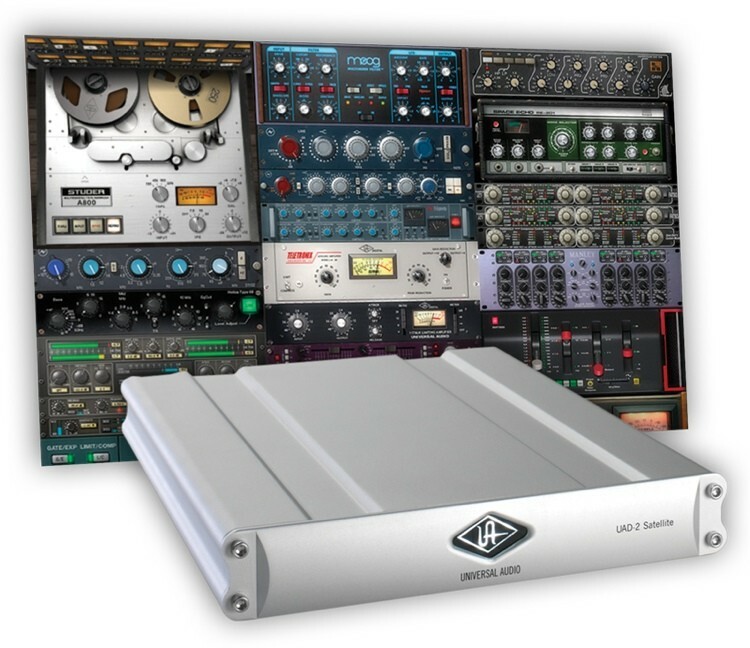 In developing UAD-2 plug-ins, UA’s DSP engineers work with leading hardware manufacturers — using their exact schematics, golden units, and experienced ears — to give your mixes all the warmth and harmonics of classic analog recordings. 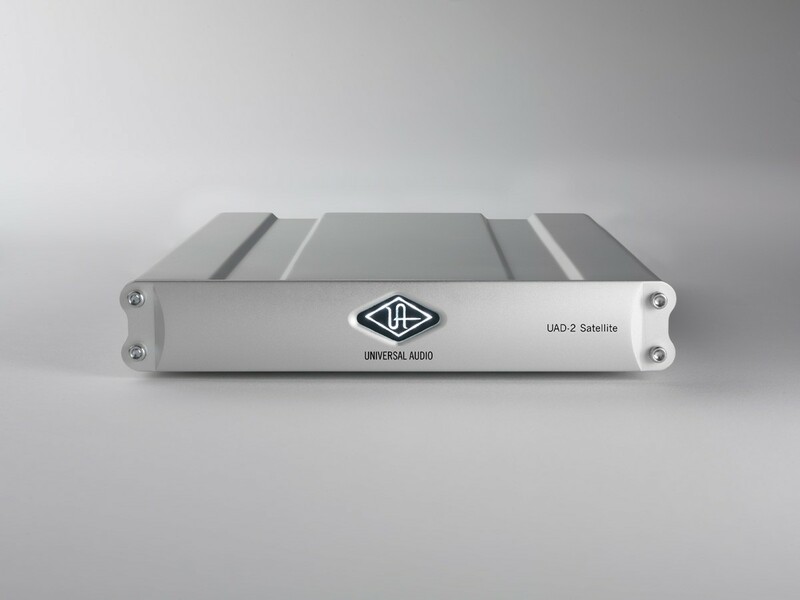 Powered by four SHARC processors, the UAD-2 Satellite QUAD allows you to run large, complex mixes, without taxing your host computer. Includes “Analog Classics” plug-in bundle, featuring LA-2A Classic Audio Leveler, 1176LN / 1176SE Classic Limiting Amplifiers, Pultec EQP-1A and Realverb Pro plug-ins. Bundled with the LA-2A and 1176LN Compressor/Limiters, and the Pultec EQP-1A EQ plug-ins, the UAD-2 Satellite QUAD provides rich, vintage sound quality right out of the box. Of course, the UAD-2 Satellite also provides easy Firewire access to the complete UAD Powered Plug-Ins library, including titles from Studer, SSL, Manley, Empirical Labs, Neve, Roland, BOSS, EMT, Fairchild, Harrison, Helios, Little Labs, Lexicon, Pultec, SPL and more (sold separately). Developed by the industry’s premier engineering team, and backed by frequent new software and plug-in releases, the UAD-2 is the processing platform of choice for many of the world's top musicians, producers and engineers.